Stylish outfits, a skincare regime and hair tools for every occasion " oh my! Squeezing all of this into one small suitcase when you're heading off to an exotic location can be tricky. VS Sassoon can help tick one item off that list for first-class hairstyling. The new Pocket Rocket Range embraces your globetrotting lifestyle - and each product is under the $20 mark. Whether you're on a glamorous vacation, getting your sweat on at the gym, or girl-bossing at the office, VS Sassoon's Pocket Rocket Mini-Pro range is perfect for effortless styling on the go. Never go anywhere without your style buddy! You'll instantly fall in love with this oh-so cute little Pocket Rocket Straightener - perfectly sized to throw in your handbag. 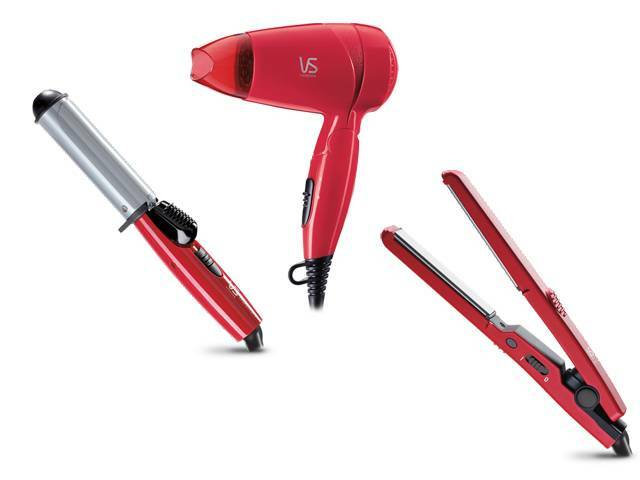 With worldwide voltage, this straightener has fast heat up and slimline ceramic plates with even heat distribution for a silky finish. A small dryer that packs a punch with 1200 watts, lightweight and a folding handle to become half the size – perfect if you're always on the go! Two variable heat/speed options and comes with a concentrator for perfect styling. Get curls on-the-go – wherever your travels take you. 25mm barrel easily creates medium curls that bounce almost instantly. Also has ceramic technology with even heat distribution for a silky finish, worldwide voltage, and a built-in counter rest. Wherever your wanderlust takes you, the VS Sassoon Mini-Pro Pocket Rocket Range is exactly what you need for impeccably-styled locks. For more information, visit http://www.vssassoon.com.au.